In the summer months since 2007, my summer convention schedule is usually FanimeCon then Sac-Anime on Labor Day. In 2010, it has been FanimeCon then Anime Expo then whatever Labor Day convention I choose to attend. It came down to either Anime Vegas in Las Vegas or Sac Anime back home in...Sacramento. But once the ball stared to roll, first with registering for press and being accepted, then seeing the huge guest of honor lineup that includes some familiar faces like Laura Bailey, Vic Mignogna, and Travis Willingham while seeing some new faces like Chris Cason, Mary Elizabeth McGlynn, and Johnny Yong Bosch, then determining that this convention coverage would be a collaboration with Scarlet Rhapsody, I knew very quickly that I would be headed down to Las Vegas for this convention. 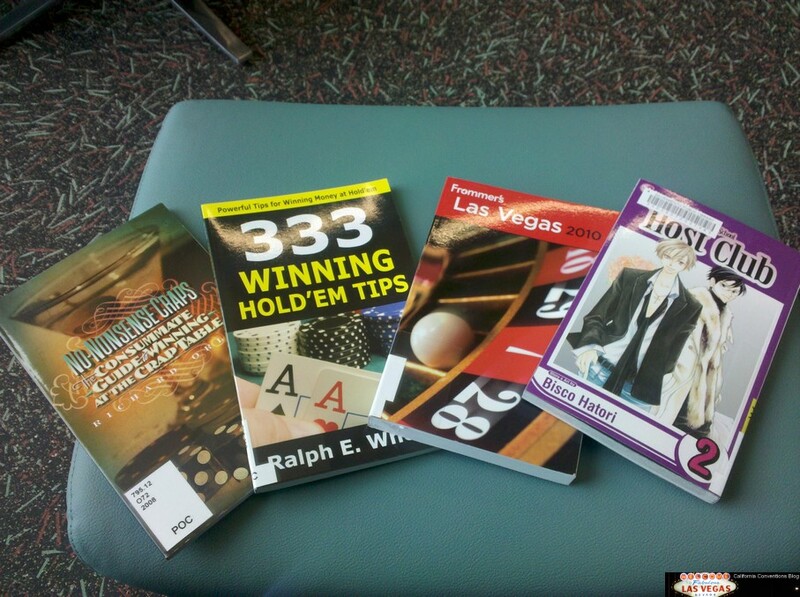 On the Saturday before Anime Vegas, a new library opened up down the street which gave me an opportunity to brush up on my game and to grab one of those Las Vegas guidebooks.